You can all give yourselves a pat on the back for being a member of a dynamic, efficient, and highly competent organization, represented by leaders who make us proud. On July 18, State League President, Nancy Leifer appeared on a panel before the State Administration and Veterans” Affairs Interim Committee (SAVA) to provide informational input on Voting Records issues. Voter records have always been public information, but now they are being used in ways that endanger the democratic process and individual voters. The information Nancy provided came out of the LWVMT 2018 Elections Process Study, supplemented by information gained at the 2018 National League Convention, from National League resources, from Billings President, Cathy Fitzgerald and the Billings League’s interest in advancing these efforts. Nancy’s presentation had an obvious impact on the Committee. In short, Nancy provided the Committee with information on Voting Risk Assessment audit options, Cyber-security options, and the need to assure the public that we have a secure voting system. Senator Dee Brown praised the latter suggestion. Senator Sue Malek asked the representative from the Secretary of State Office (Dana Corson) to put into writing his responses to Nancy’s input. Voter information has historically been useful to candidates for targeting their campaign advertising to likely voters. 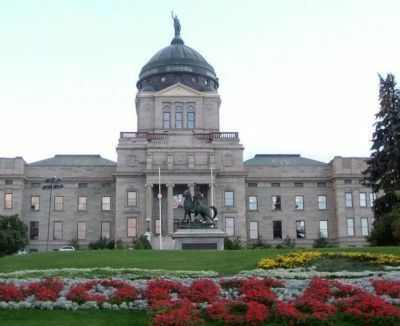 At the request of LWV Billings Co-President, Cathy Fitzgerald, Legislative Research Analyst Sheri Scurr provided five and a half pages of Montana Laws and Rules on Voter Information and Confidentiality . The need for protection of personal information must pass the test of exceeding the public right to know. Nancy provided solid, well-articulated reasons for removing voters’ birth dates from the information sold and tracking who is purchasing voter personal information. Voter information can easily be linked to other online databases using computer algorithms such as that used by British firm, Cambridge Analytica to influence US voters in the 2016 Presidential election. It might also be used for purposes of identity theft. Watch for Legislative follow-up.